Set sail on an adventure of a lifetime aboard this stunning sailing yacht by Dixon Yacht Design and Brune Yachtbrau, the leaders in luxury yacht design. The stunning Opus 68 is a true gem on the Adriatic. Begin your island hopping adventure from Hvar, your yacht charter’s base location not far from Split. You and up to 6 other guests will be spoiled with freshly prepared meals by the crew in between breaks at some of Croatia’s best beaches and visits to charming towns on the Dalmatian islands. This fully crewed yacht is beautiful inside and out and is also equipped with several water toys. The luxury charter will take care of your every needs and create the perfect itinerary, which is tailored to your personal preferences. 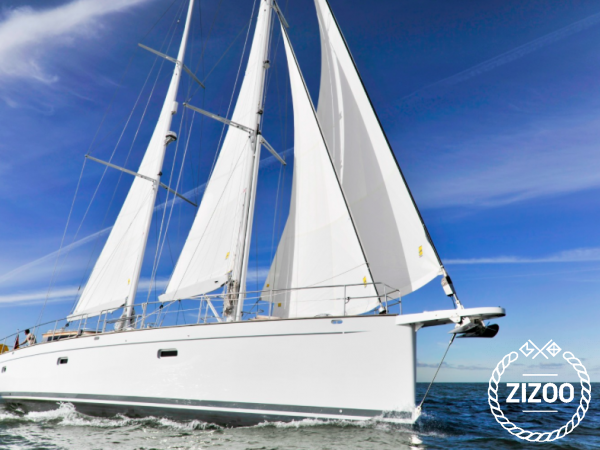 Book this Opus 68 with Zizoo for a Croatian boat holiday you won’t forget.